Hi, hey there, hello! 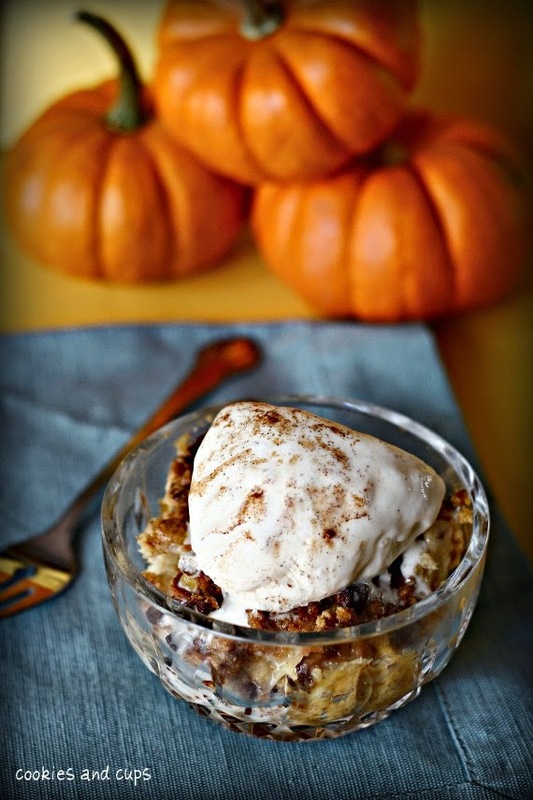 Today on she is little she is fierce I'm going to be sharing some droolworthy pumpkin dessert recipes from Pinterest! I love pumpkin just as much as the next basic white girl. "Give me pumpkin or give me death!" is basically my motto from September till November. If it's got pumpkin or made from pumpkin chances are I'll eat it. I seriously love pumpkin. At Thanksgiving I can eat a whole pie by myself. And for being 5'1" and roughly 110 pounds that's pretty impressive. There are five recipes that I've been drooling over on Pinterest that I'm going to share with y'all so you can drool and make them too! So without further adieu here they are! It just looks so moist and fluffy and delicious! The toffee is nice crunch and flavor! Mhmmmm! Uhm how freaking adorable are these?! 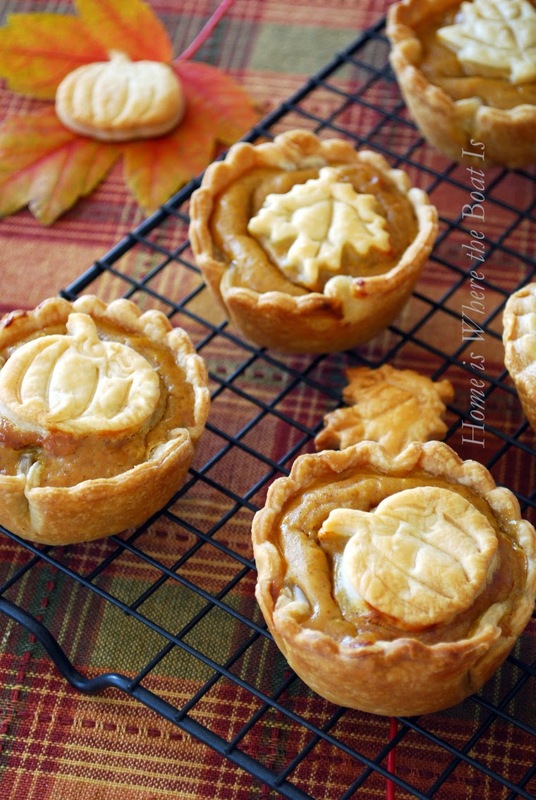 I audibly 'awed' out loud when I saw these mini pumpkin pies! I'm sure they taste just as delicious as they look! If you wanna wow your guests these are definitely how to do it! 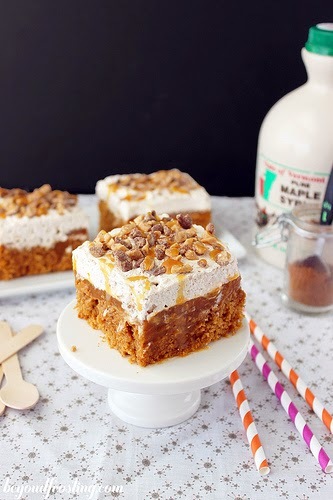 I love, love, love carrot cake. It's my absolute favorite type of cake. I could eat it all day every day, no joke. And adding pumpkin just makes it about 100000 times better! No need to ask me twice! How decadent and creamy and delicious do these look?! 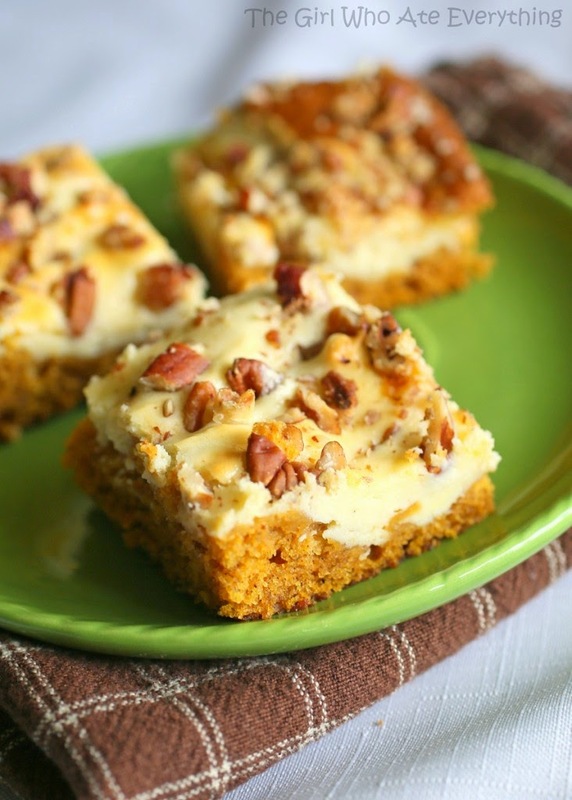 Cream cheese and pumpkin are two combos that you can't go wrong with! Okay this one I'm especially excited to try. It's looks super delicious and is a breeze to make. You dump all the ingredients into the baking dish and bake it. It'll come out moist, delicious and pumpkin-y. If you aren't too good in the baking realm but need an easy dessert this is it. You can't get anymore easy than this. One dish, lots of compliments. So are you now super hungry for one of these delicious treats? I know I am! I will definitely be trying out the dump cake. Don't worry I'll make a post all about it, have no fear. Hello lovelies! Today on the blog I'm going to be sharing with you all what I think every closet needs. By no means am I a fashion expert and these are pieces you have to have. These are what I think every wardrobe should have and what are in my own personal one and what I've been wearing a bunch. They are classic, staple pieces that make the foundation for a killer wardrobe that will last you years and years to come. Since my senior year of high school I've been slowly but surely adding these pieces to my closet. My closet has thanked me for getting rid of the bedazzeled jeans and investing in a pair of black pants. So what are my classics for your closet? If you're wanting to give your wardrobe an upgrade but don't know where to shop I got your back! My favorite places to look/buy would be Factory J. Crew, Old Navy, Gap, Target, H&M, Marshall's/TJ Maxx, Loft, American Eagle for jeans/pants and even Forever21. Once you have these key pieces you can make any outfit you choose. It's like baking a cake, once you have your base batter you can add any flavor or icing or decorations you want. Literally all of my go-to outfits have at least a couple pieces from this list. For example, I'll cuff my dark wash skinnies, throw on my everyday tee, my white Converse, blazer and a baseball cap and call it a day. It's easy, effortless, comfortable, chic, simple and sophisticated. It's all thanks to those basic pieces. I promise you once you start adding them you're going to think, "how did I go so long without them?!" You won't regret it. What are your closet staples? Anything I should add to mine? Lemme know in the comments or by tweeting me! For the quiet, little Midwest town where I live the moment of impact came on Friday October 29th, 2010, just a little after 4 a.m. where our Homecoming King, 4.0, gifted singer, all-star athlete, son, brother, teammate, classmate, friend to all passed away. Nathan was only 17. I was a Sophomore in high school. I was the boy's soccer manager and we had a home game that night. We had been killing it that season and we were top ranked in our league. The whole community turned out for the game. It was a the determining game to see whether or not we'd be league champs. That same night we were playing our last football game for the season. We were playing it in a neighboring town. But everyone's focus was on the soccer game. Every player played their hearts out down to the buzzer. The final buzzer rang out but you could barely hear it against the screams, whoops, hollers and cheers from the crowd and team. We won; we were the league champs. The first time in the history of our boy's soccer team. Everyone was on cloud nine, celebrating. It was like something out of a movie. Nothing could have brought us down. But what happened next, nothing could have prepared us for. At the football game we were on top of our game, playing our hardest. It was almost halftime and one of our players, senior Nathan Stiles #44 had just intercepted the ball and was tackled. He walked off the field to the sidelines clutching his head saying "my head hurts" then collapsed. He was Life Flighted to our local hospital where he was immediately taken into surgery. His family, friends, classmates, teammates, members of the community sat in the waiting room and prayed; prayed that he'd be okay, that he wouldn't be taken. Hours later the doctor delivered the news. Nathan died in surgery. That was the moment of impact that changed everyone's life forever. Life would never be the same. I went to school and had never heard a silence so deafening before. What was suppose to be an exciting day of school pride of winning the soccer game and being league champs was replaced by sorrow, mourning, silence and tragedy. A few days later there was a celebration of life service held in our high school gym. I attended like most everyone in my school. Every seat in the place was filled, there wasn't even any standing room. The entire town, school, neighboring towns, everyone came out to celebrate the life of such an incredible young man. It was inspiring and so moving to see everyone come together in such a time of tragedy and sadness. Yes there were tears but they weren't sad tears, but happy ones. We all knew Nathan was up in Heaven smiling down and singing along with us. Nathan was a strong Christian and his faith was the most important thing to him. It's his faith that got everybody through this dark time and what would spark the Nathan Project. Because of his strong faith his family wanted to celebrate it and the Nathan Project was born. The Nathan Project is an organization bringing God's Word to those in need. Today marks the 4th year since that moment of impact. Even though I didn't know him personally it still brings back the feelings. Nathan impacted more lives than imaginable. He impacted mine. I learned that life is so, so, so precious and can be taken from us at any time. That we are not guaranteed the next minute, hour, day, week, month or year. That we are only guaranteed the time we are living in now. And that when our time comes we need to be prepared; to be confident in our faith and know where we are going. I learned that everything is in God's plan. God had an important plan for Nathan and that this was it. That his life would save others. That through it more would be saved and know God's Word. "It was the end of a decade but the start of an age." "life's all about moments, of impact and how they change our lives forever"
Hello there lovely people! Today on le blog I'm going to be sharing with you my fall bucketlist! I always make a bucketlist for every season. It's a fun way to keep track of the activities you wanna do! The goal is to accomplish every activity you wrote down. I never seem to fully accomplish them. I'm always missing a few activities. Nonetheless, I decided to create one for fall! 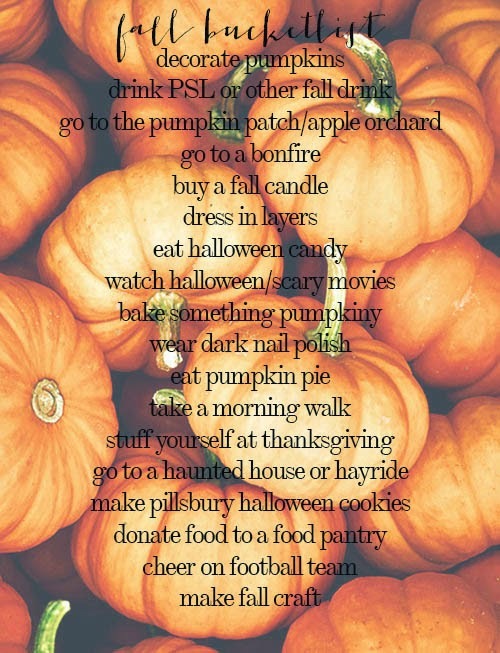 So here's my fall bucketlist! So far I've accomplished 6 of my activities. I think I'm doing alright! Hopefully I can keep on crossing them off! You can create your own bucketlist or use mine! If you decide to take part in the fall bucketlist challenge comment, tag or tweet me so I can see you being all autumnal! And yes autumnal is a real word I did not just make it up. Lol. "do all those things you want to do"
Hi everyone! Today on the blog I'm going to be sharing with you some of my favorite and cutest to-do list notepads! If you know me (or if you don't, now you do!!) then you know that I am a grade A, compulsive list maker. So why do I make lists for everything under the sun? I love making to-do lists for a few reasons. One, it let's me see everything I need to get done. It can be overwhelming at times but you just gotta put your game face on and power through. Two, it motivates me to get everything I need to get done, done. Three, writing it done on a pretty notepad makes me feel grown up and it also motivates me. And four, there's no greater feeling than crossing off an item on your to-do list. Seriously it's pretty great. Okay enough of my chitchat and on to my favorite notepads! 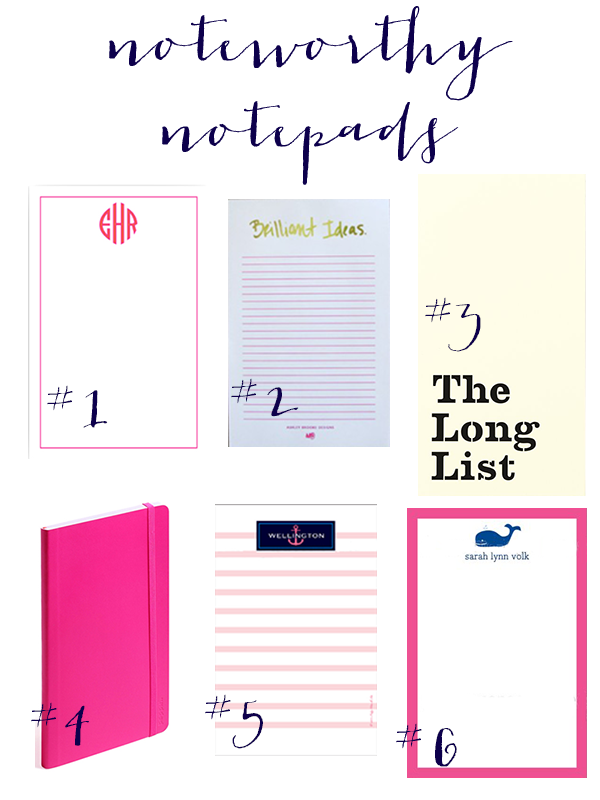 #1: Design Darling// #2: Ashley Brooke Designs// #3: Kate Spade// #4: Poppin// #5: Muffy Writes a Note// #6: Preppy Monogrammed Gifts// How cute are they!? Can't tell I love pink, right? ;) Another great place I love getting notepads from is Target's dollar bin section. They have the cutest to-do list notepads and plain notepads. Whenever I go I have to pick up a couple. I just can't say no, it's a problem but #sorrynotsorry In high school I was notorious for having to-do lists everywhere. There would be at least one in my planner, some in my binders, on my phone, on random scraps of paper, basically anywhere and everywhere. "people who want to appear clever rely on memory. people who want to get things done make lists"
Hello again! Today on le blog I'm going to be doing a post that went around a while back. It's the 'Instagram vs. Reality' post. I'm a huuuge Instagrammer and love sharing photos of my life with my friends and followers. But sometimes Instagram tends to distort reality. We filter, edit and pose the pictures to make it seem like everything is perfect and peachy. The truth behind every photo is that while the photo is perfect or may seem perfect, the person in it or taking it is not. We do not have perfect, everything in it's place, flawless hair and makeup and on point outfits and spotless rooms and desks or lives. We are crazy and messy and sometimes don't have it all together and that's perfectly okay. Not to get all deep with life words of wisdom here but I thought I'd preface the post so you guys have an idea of where I'm coming from. So onto the actual post! 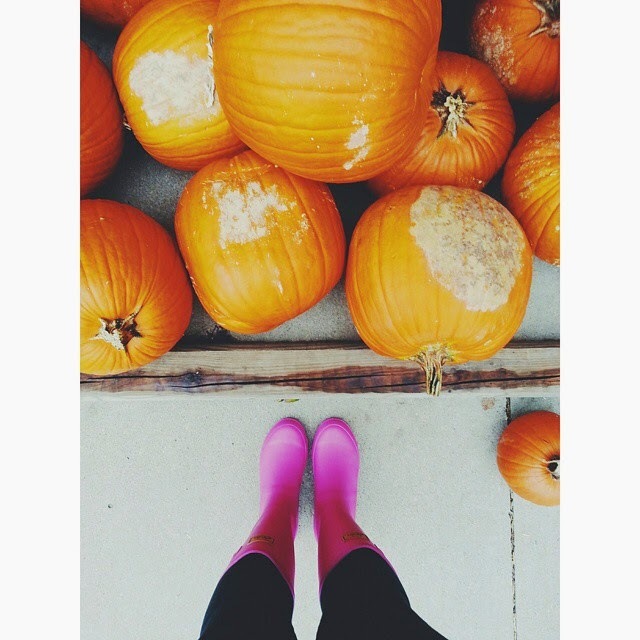 "Pretty pumpkins and pink rain boots." Instagam: Aren't my pink rain boots just adorable!? And with the pumpkins?! How freaking festive for fall! omg. 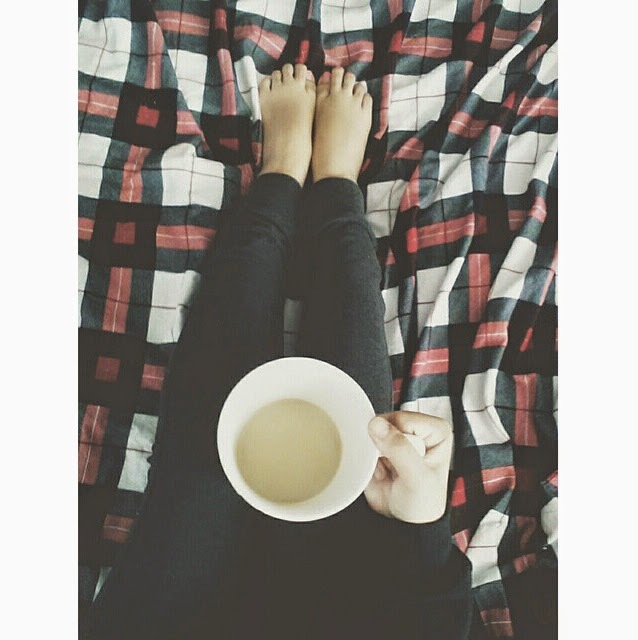 "a girl and her bed on sunday's are an endless love affair"
Instagram: Look at my flannel sheets and cute sweatpants and delicious coffee and fitting, artsy quote and omg doesn't this look like a hipster, tumblr photo?! Reality: Having to put on sweatpants for the sake of the photo and holding/balancing my coffee on my legs while my other hand holds my phone upside down on selfie mode trying to take the photo and not trying to spill coffee on me and making sure my legs get into the photo. 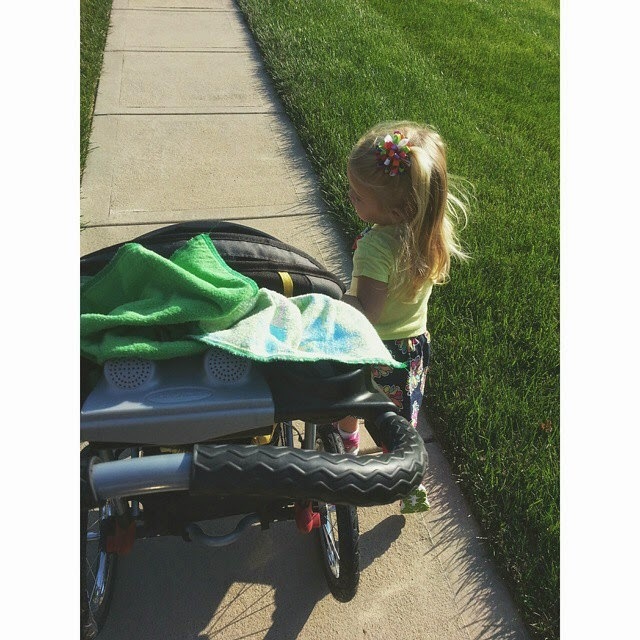 Instagram: I would be such a cute little mom with my stroller and cute little girl with the bow in her hair singing Let It Go as we walk to the park to play. Reality: I got tons of weird looks from the people driving by as I had one hand on the stroller pushing, trying to steer it and not go off the sidewalk, while my other hand took the picture and halfway there the baby threw up all over herself so I had to stop and clean it up and got it on me so yeah mom status. 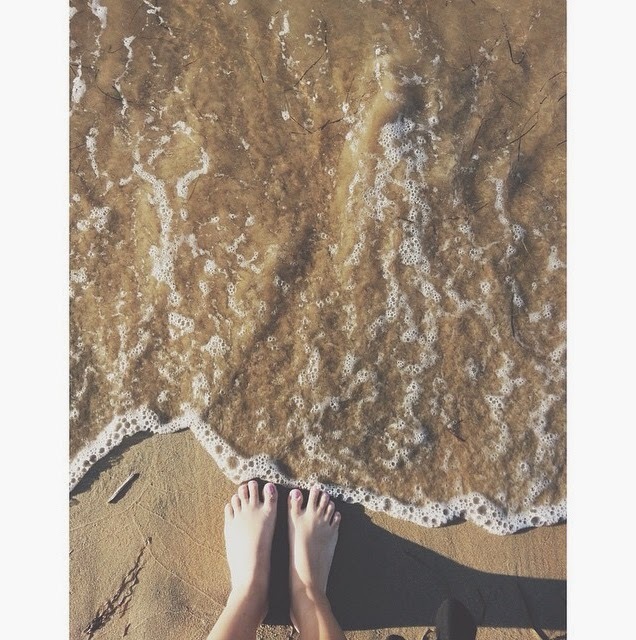 "I lost my heart to the ocean and with it a piece of my soul"
Instagram: omg look the sand and beach and ocean and cute little feet and the tide's coming in and it's the perfect photo and this is so tumblry and the quote is perfect. Reality: Again getting strange looks from all the people at the beach while I'm taking a picture of my feet and standing in the cold water for a good 10 minutes taking about a bajillion pictures because the camera wouldn't focus because the tide was coming and going so fast and people were probably thinking this girl is mental, she's taking pictures of her feet what is wrong with her. Instagram: Look how artsy and fall-y this photo is. My nails are painted a dark navy color and perfectly and look how clean the background is the caption is so totally fetch. Reality: The background is a white piece of computer paper covering up my ugly desk and there's a mess of papers and notebooks and pens and receipts on it and my nails look terrible because I forgot to push back my cuticles and I hoped the filter would blur it out and the leaves are fake because when I took this it wasn't even fall yet and none of the trees had changed and dropped the bottle on my bathroom floor and there's a little crack in it but I'm hoping you can't notice. Lemme know your thoughts on Instagram vs. Reality in the comments or by tweeting me. "not all that glitters is gold"
Hello all! Today I'm going to be sharing with y'all my tips/nuggets of wisdom for being more productive! I do all my college classes online so that means my bedroom is my classroom and work area. Being at home all the time is a good and bad thing. Good thing: I can do my work in my pajamas and no makeup. Bad thing: A lot less structured than a traditional classroom. That being said I have to really make sure I stay on top of things. Along the way I've learned some tricks to staying productive and powering through my projects or looong list of to do's. 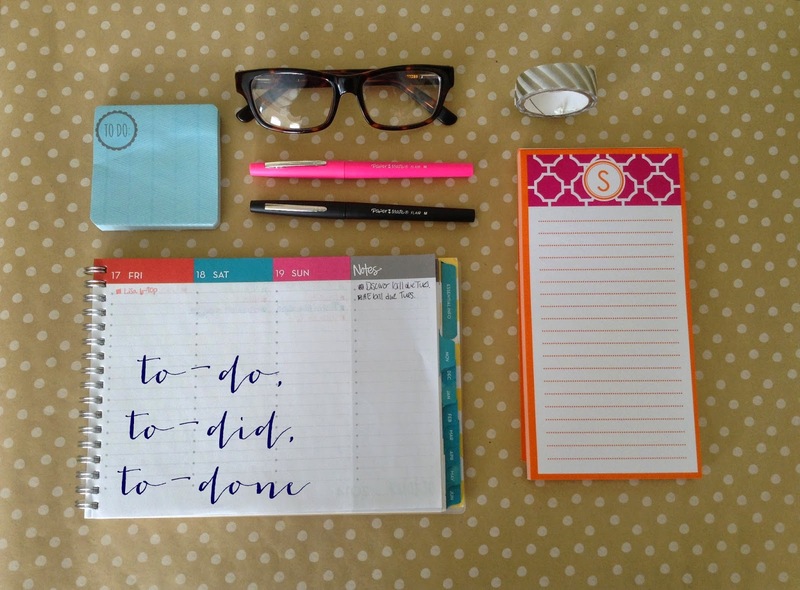 So I thought I'd share my tips to being more productive! Okay so normally I don't cuss but I really liked this quote and look at the little 'asterisk', it's a heart! How cute! #1: Write it out and prioritize // Write out what needs to be done and prioritize what needs to get done ASAP and what can get done later. This will help you so you can a) see everything, b) track your progress and c) make sure you don't forget something. #2: Cut out distractions // Cut out your distractions; turn off your phone, social media notifications, TV, etc., block websites like Youtube, turn off texts. Distractions like these interrupt your work flow and can hinder knocking out your list. #3: Make time // Make time to get your work done. Don't just spend 10 minutes here and there. Set aside a day to power through your work or to-do lists. You'll get way more done and feel accomplished after. #4: Make space // Having an area dedicated to working can increase productivity. Whether that's a desk in your room, an actual office or your kitchen table having a space helps keep you motivated. If you're needing a more conducive workspace try a coffee shop. The atmosphere there always keeps me working harder and I find I get more done. #5: Break up tasks // I get majorly overwhelmed sometimes by the amount of things I need to do. Breaking them up into more manageable tasks will eliminate that stress. If I have an 8 page paper to do, I'll break it up into sections where I'll have an intro, body paragraphs and a conclusion. I'll work on each section separately then put it all together. So instead of having one giant paper I have a bunch of little ones. #6: Have needed supplies // Make sure before you sit down and get to work you have all your needed supplies; water, snacks, pens, textbooks, notes, chargers, etc. If you don't have everything all together you'll spend more time getting up and getting them than actually working. #7: Take breaks // Don't forget to take little breaks every now and again. My system is I work for an hour and then break for 10 minutes or so. I get more water or a snack, stretch, check my social media, etc. Taking a small break can rejuvenate you and your mind and help you get more work done in the long run. #8: Reward appropriately // It can't be all work and no play. Once you accomplish something big on your list or your whole list reward yourself! Take your self out to a nice lunch, go to a movie you've been dying to see or treat yourself to a decadent chocolate cupcake. #9: Set a schedule // Create a schedule of your day and the things that you need to get done. For example, at 9am you're going to start researching for your project, then at 11am you need to finish proofing your paper. Take a break at noon for lunch and then back at it at 12:45pm. Having a schedule will keep you on track and in your groove. #10: Create the atmosphere // By setting the atmosphere for your workspace you can keep yourself moving right along. Make sure you have lots of light, so open your blinds or turn on a desk lamp. Play some coffee shop or classic music to keep the inspiration flowing. And as much as working in pajamas is comfortable sometimes putting on semi-real clothes, aka leggings and a sweater, can help set the work mood. I hope these tips helped on how to be more productive! These can be applied to working at home or studying or anything in between. Lemme know what your tips on how to be more productive are? Got a secret on how to power through? Lemme know! "study while others are sleeping; work while others are loafing; prepare while others are playing; dream while others are wishing"
Hey y'all! 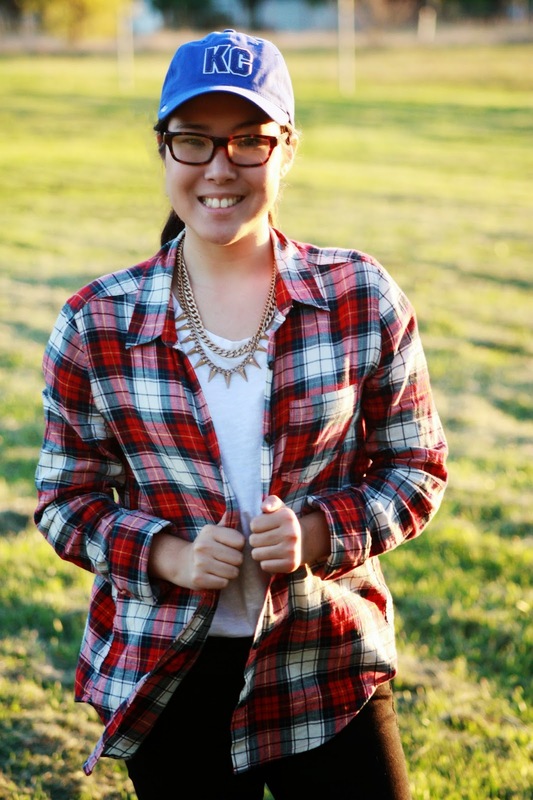 Today's post is going to be all about dressing up! So Halloween is next week and that means trying to figure out a costume this year. 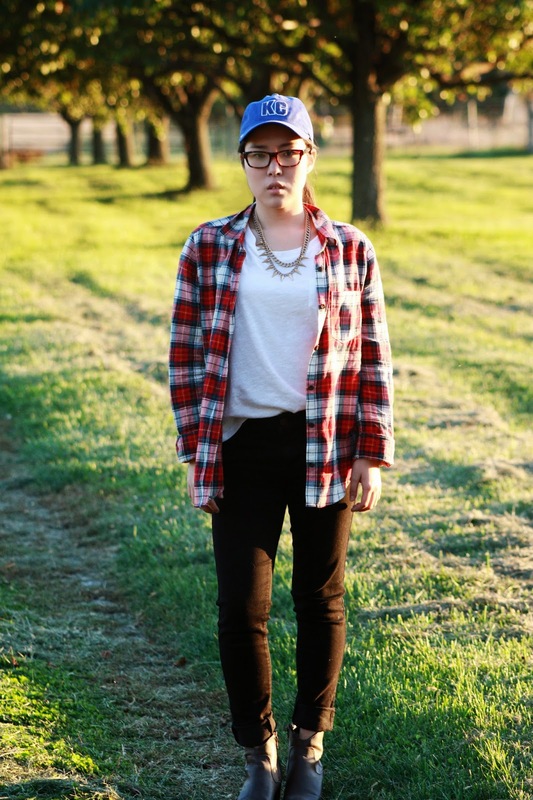 If you don't want to show up dressed the same as 5 other people then this post is for you! Whether your're going to a Halloween college party with your girls, boyfriend or by yourself or you are just dressing up for the heck of it here's some easy DIY costume ideas! 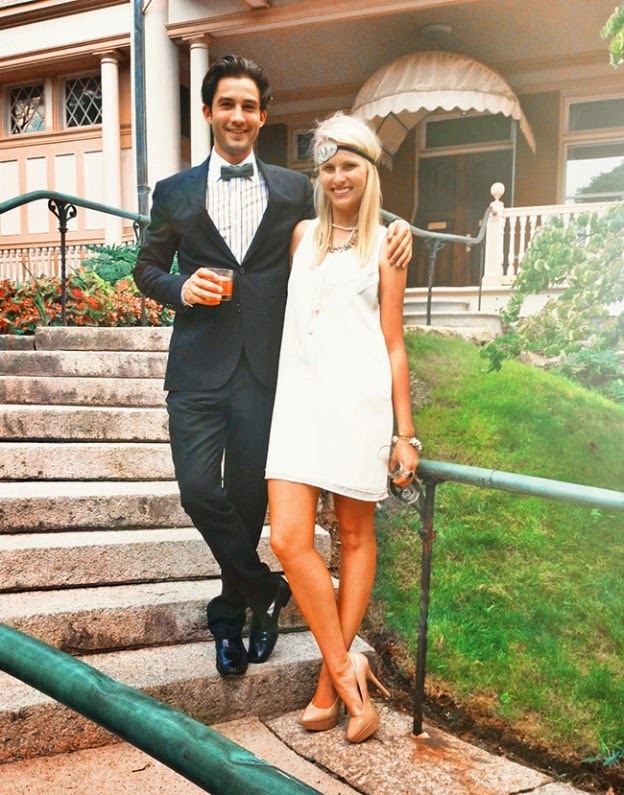 Grab your guy, a suit and tie, a glitzy dress, headband, a champagne glass and you're insta-Gatsby! This is a fun and fabulous costume for you and your best friend! Definite nod to the 90s! 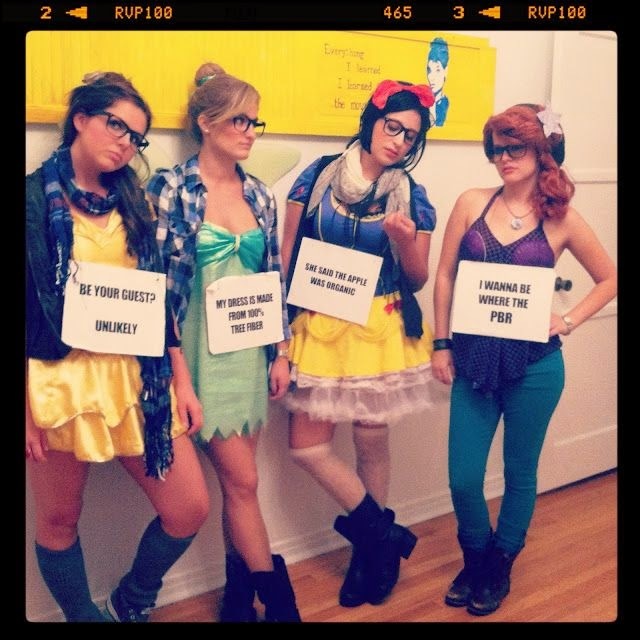 Why not combine Disney princesses and hipsters together! All you need is your girls, Disney princess outfits, hipster style of course, and these hipsterworthy signs! 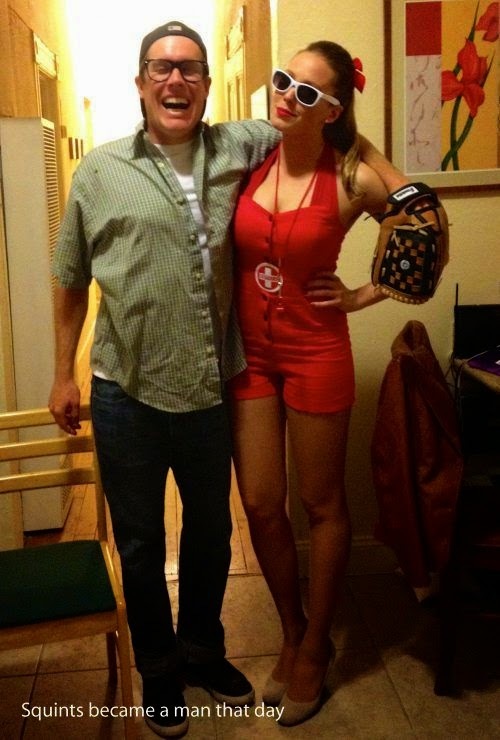 This is easily one of my favorite couples costumes ever! 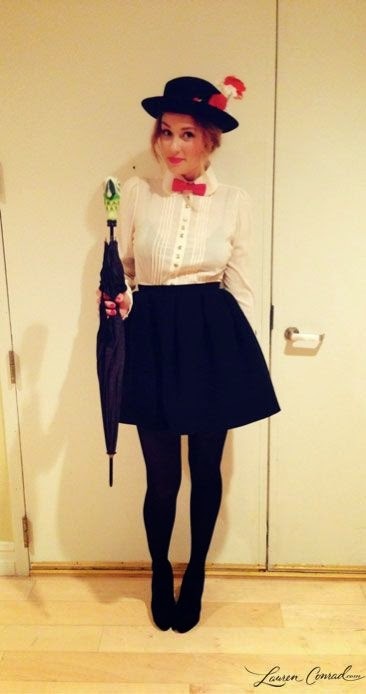 I love Mary Poppins and this is such a cute and timeless costume! If you didn't have a guy you could go just as Mary like Lauren Conrad did! 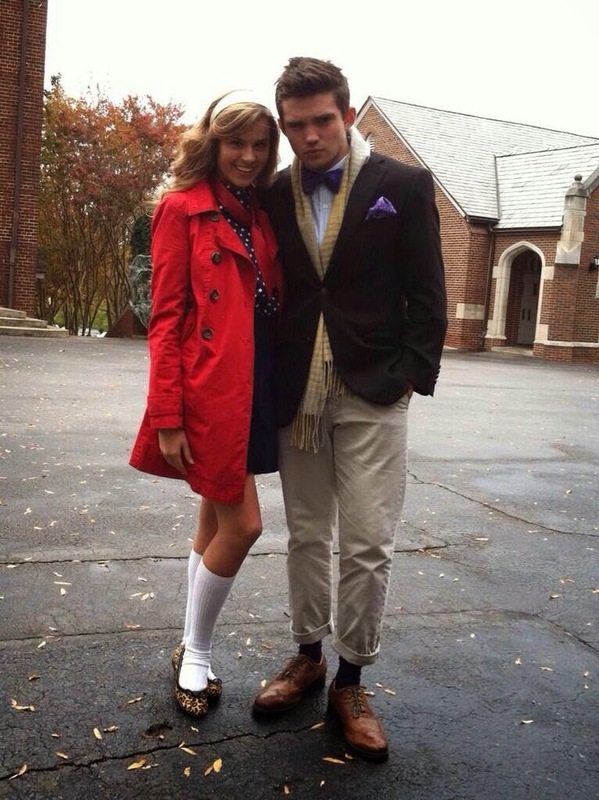 You know you wanna go as the King and Queen Bee of the Upper East Side, I mean who doesn't! 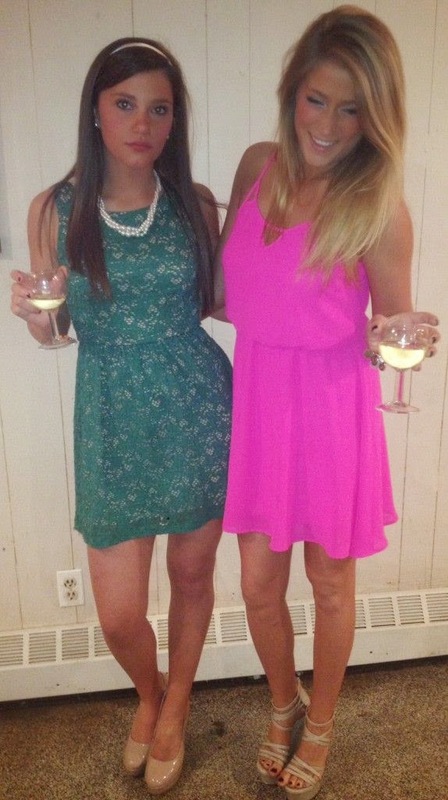 Or if you wanna go with your best friend grab some cute dresses, heels and accessories and you're best betches. If you're going alone you can be the Queen Bee herself. A plaid skirt, white button down, knee high socks, flats and a bow headband and you're unstoppable! Or if you're going with a group be the whole Gossip Girl group complete with Lonely Boy, Little J and Golden Boy. 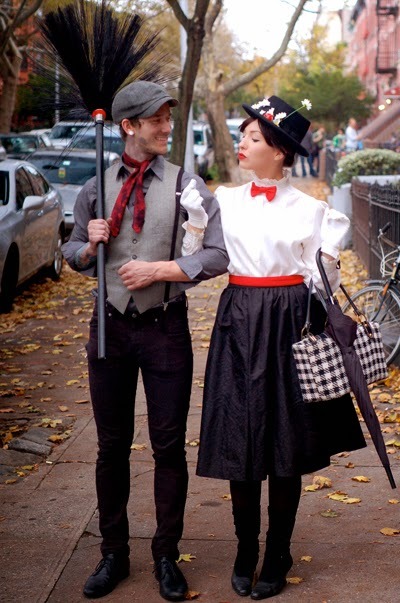 This is a super easy and cute couple costume! Be the posh powerhouse couple David and Victoria Beckham! 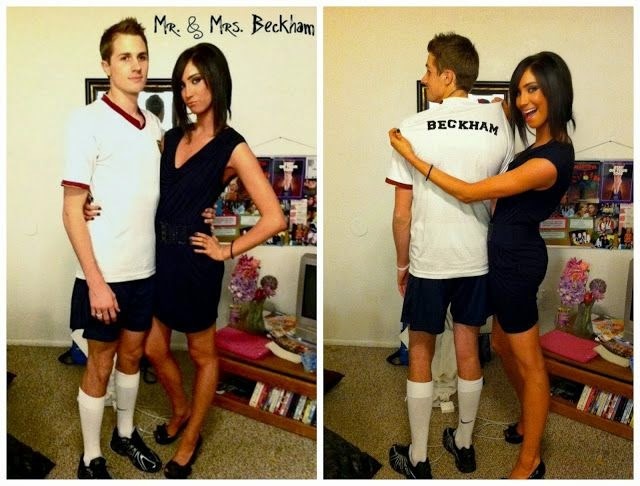 Grab a soccer jersey, shorts, soccer socks, a LBD, killer heels and you're now the Beckhams! 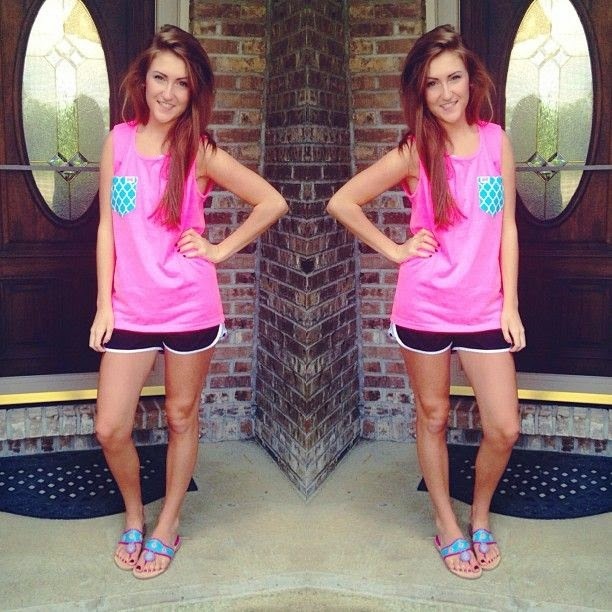 Norts, an oversized pocket tee and Jacks are a super easy and not to mention comfortable Halloween outfit! 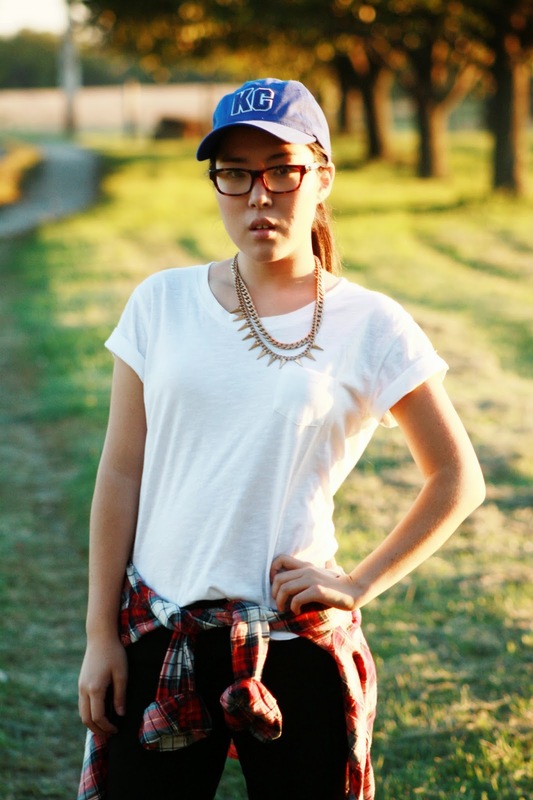 #typicalwhitegirl You could even dress like your favorite Youtuber! This is a funny and simple idea to recreate! You can be the Plastics themselves with pink tops, black bottoms and heels. If you wanna go all out you can be each of the Plastics Halloween costumes! If you're a 90s kid and you don't get this iconic reference then "You're killin me Smalls!" Do I need to say more? I hope not. 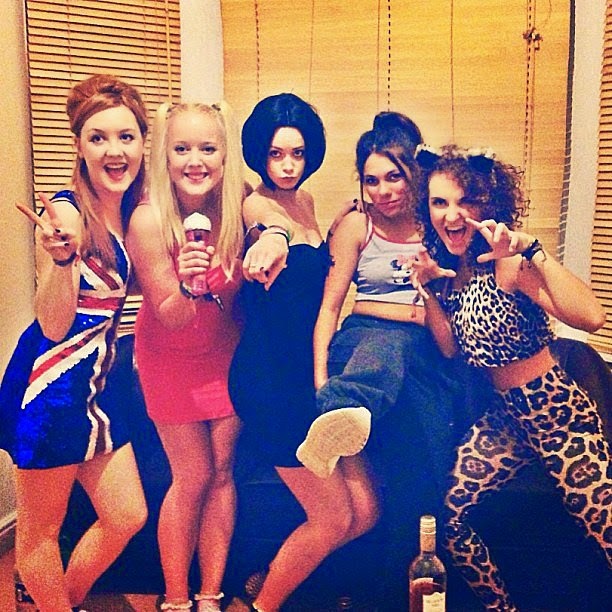 I'll tell you what I want what I really, really want.... is to be the Spice Girls for Halloween! Grab Posh, Sporty, Scary, Baby and Ginger Spice and your friendship never ends! I love this one solely because it's a total play on frats/sororities! 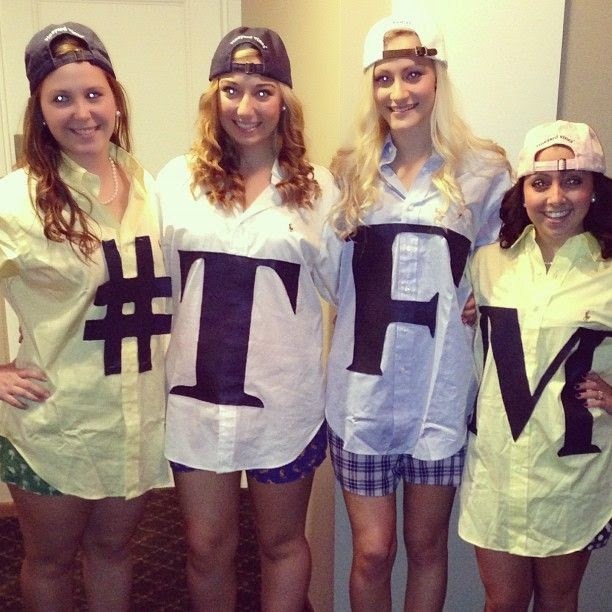 Grab your girls, oversized buttondowns, boxer shorts, ballcaps and some black paper letters and you're a #tfm. Another idea is dressing up like frat/college guys! I hope you guys got some inspiration for your Halloween this year! 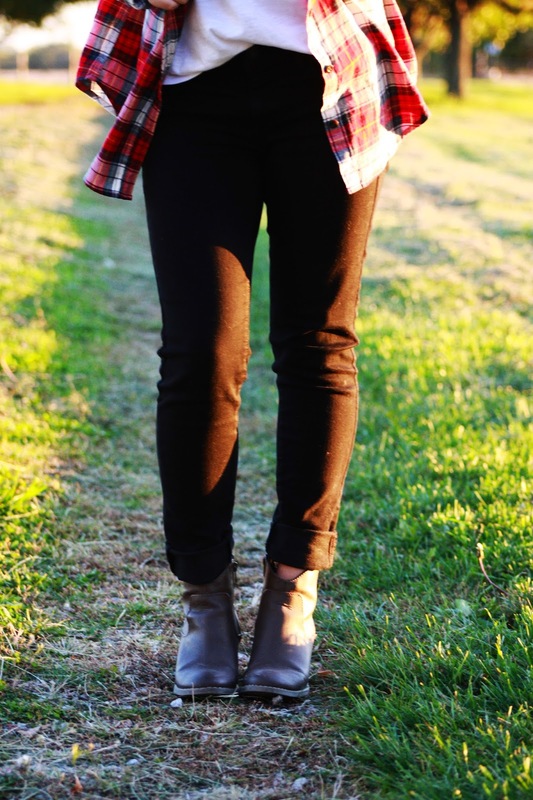 I think these are fun, simple and cute outfit ideas that anyone can re-create! If you're needing some more inspiration Pinterest is a great place to head to find tooons more costume ideas! "i've put more thought into my halloween costume than into my career"
Hey all! Today is another fashion post! These might be my absolute favorite to do! This is an outfit I wore yesterday while doing a full day of errands. It was a beautiful warm, sunny, clear skies fall day so I decided to wear some of my favorite pieces and of course show off the Royal's blue! 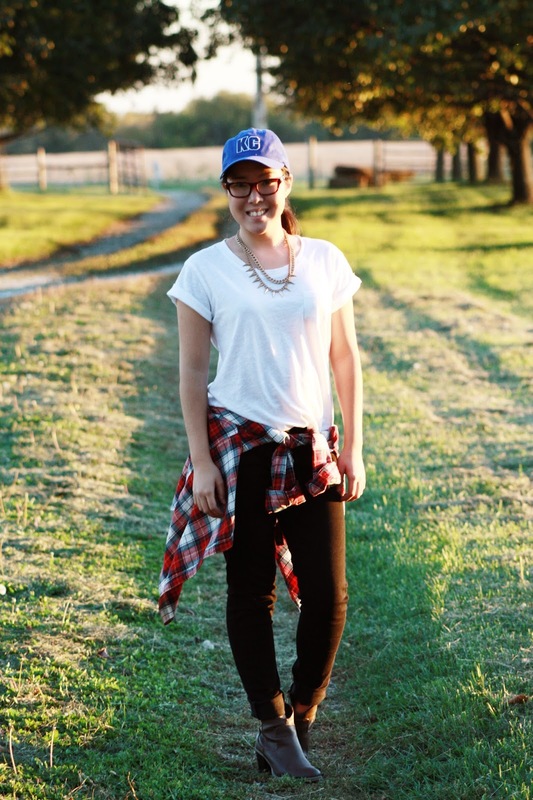 Plaid, a boyfriend tee, layered necklace, black jeggings, ankle booties and reppin' my Royal's baseball cap make this a comfortable yet chic outfit. 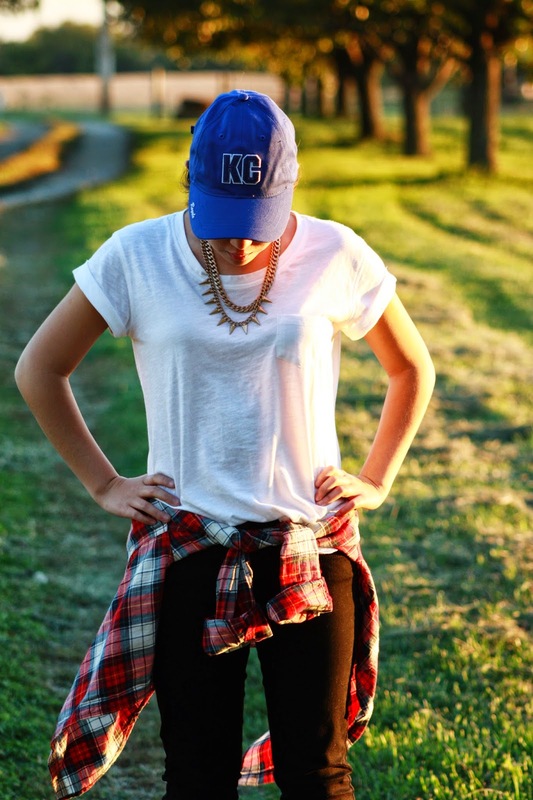 Plus, I had to show some KC pride for the boys in blue who are playing for the World Series! This might be one of my favorite outfits ever! I love how comfortable it is, ie these jeggings which are the comfiest pants ever. 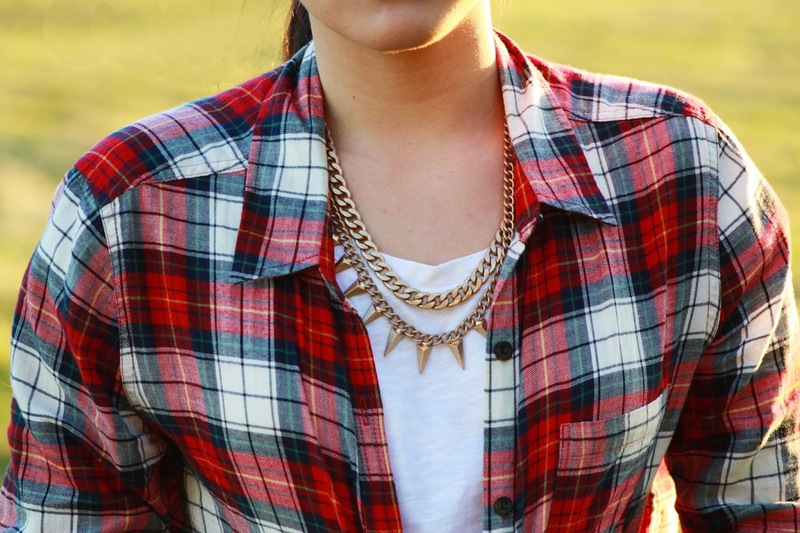 The whole outfit is edgy, chic and effortless. 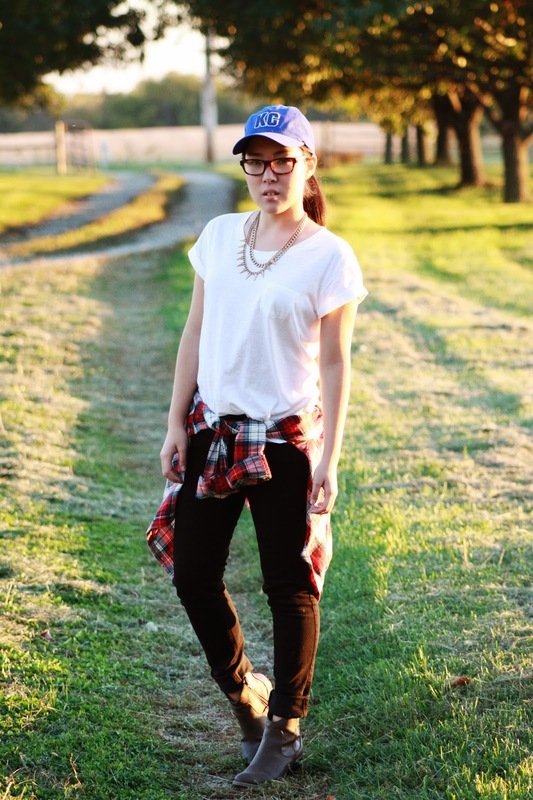 I threw on jeggings, my favorite tee, a baseball cap and added booties and a flannel and BAM outfit of the day. It's when you don't have to think about your outfit that it's the best. Anyone else feel like that too? Lemme know your thoughts on the outfit. Like it? Loathe it? Lemme know! Hello Internet friends! Today on the blog is something special that I'm pretty dang excited for. 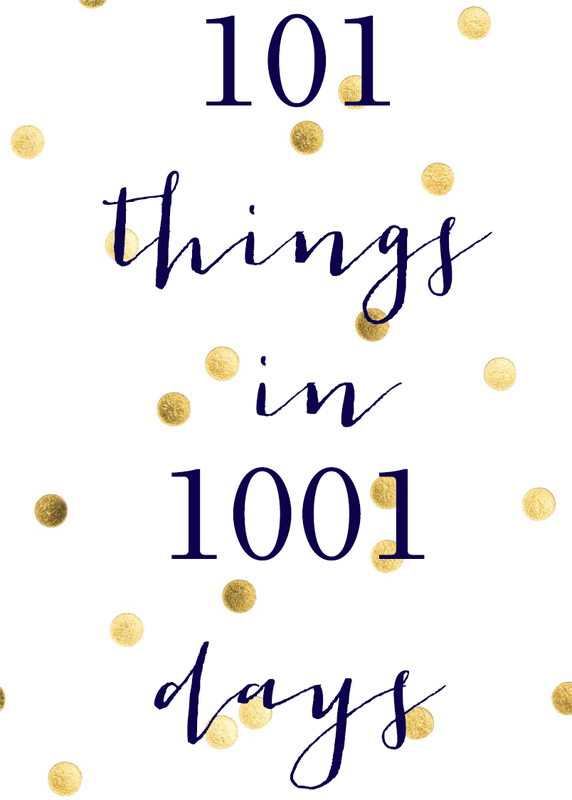 Inspired by Mackenzie over at Design Darling and some of the other 100 or so bloggers I follow have done these '101 things in 1001 days' lists. I marveled at Mackenzie's (she's done two!) and the other bloggers lists and how they knocked them outta the park. I finally decided that I was going to create, start and accomplish my own! I was debating whether to start this at the beginning of the new year or now and there's no better time than the present! What: complete the 101 things below When: 1001 days which is roughly 2.75 years Why: To finally do all those things I've said I'd do "some day, one day or eventually"